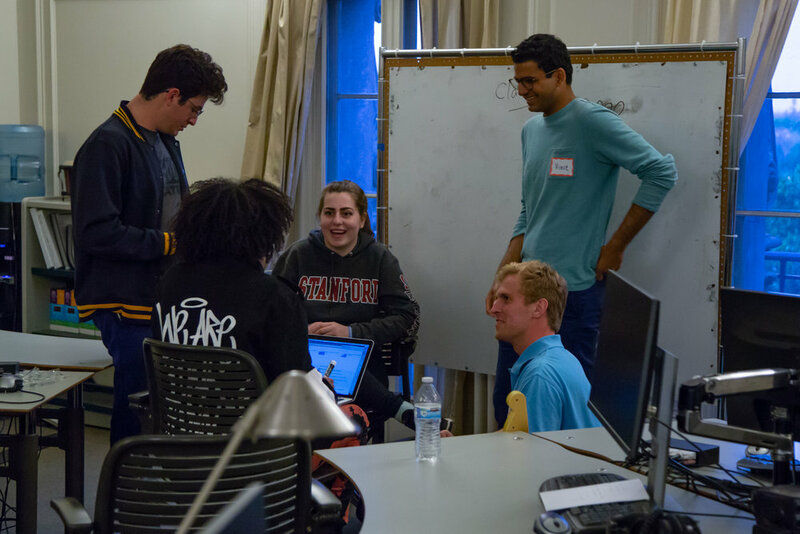 On Thursday, April 19th about 100 Stanford students came together for a kickoff event in Partnership with Common and Imagine Justice to inspire young people to rally around the message and vision of Imagine Justice, focusing on Justice Reform, Community & Civic Engagement. The assignment is to create, launch, market, and optimize a national playlist that drives awareness of Imagine Justice. The playlists will include voice messages that educate listeners about one of the above messages. 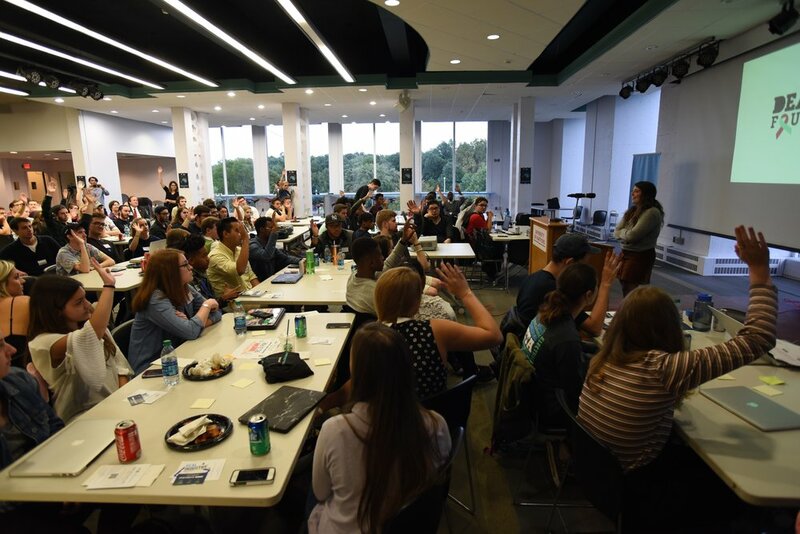 The students have five weeks to grow their listenership and influence their audience to become activated in the conversation around Justice Reform and Community and Civic Engagement. These students will be the first to use Pandora's new mixtape platform. Check back soon to experience the student's mixtapes and see how the challenge wraps up. Engage the fans of BloodPop®. Empower at risk and underserved students to pursue careers in music. How might we engage Common's voice, music, platform and Common Ground Foundation to encourage wellness, mental health, and mindfulness in communities of color? 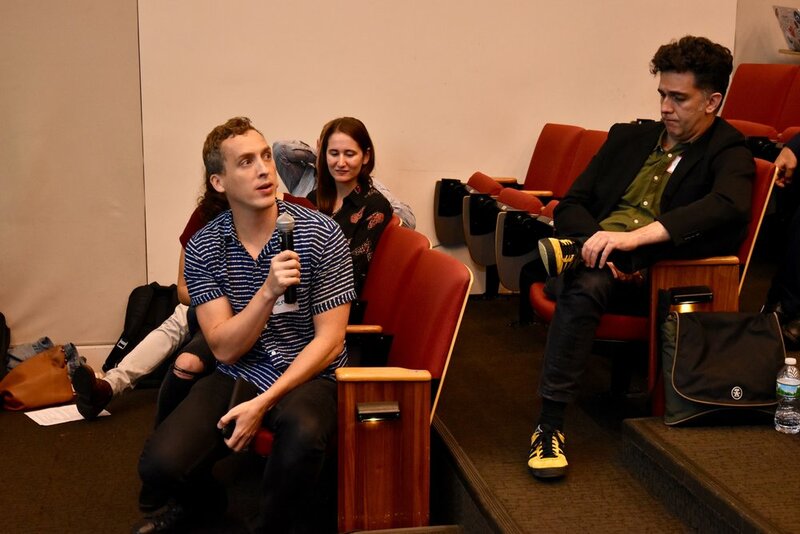 Between October 11-18, 2017, over 200 New York University students applied their knowledge of music business, marketing, and social impact towards this real-world challenge. Students worked to identify campaigns and activations meaningful to them and then proposed how Common, his fanbase, or his artist collective could achieve impact. To accomplish their work, students had access to real-world listener and fanbase analytics for Common, provided by Pandora's Next Big Sound. Tutorials on Next Big Sound and Pandora's Artist Marketing Platform were provided by Heather Ellis, Manager, Artist Marketing at Pandora. The winning team submission ("#WellGrounded") centered on creating three local pop-up shows in May 2018 (Chicago, NYC, LA) featuring Common, one other A-list artist and local artists. family, workplace, or personally) to an online database. their experience on social media (#WellGrounded). and post this to social media (#WellGrounded). 1) Common freestyle on select submissions, illustrating real-life stories. 3) Submitted art pieces displayed on big-screens. Congrats to Ada Bensadon, Whitney Dublin, Jason Joven, and Josh Viner, all NYU Music Business '18 students on their winning submission! How might Manchester Orchestra, their listeners, and fanbase support 1 Million 4 Anna? 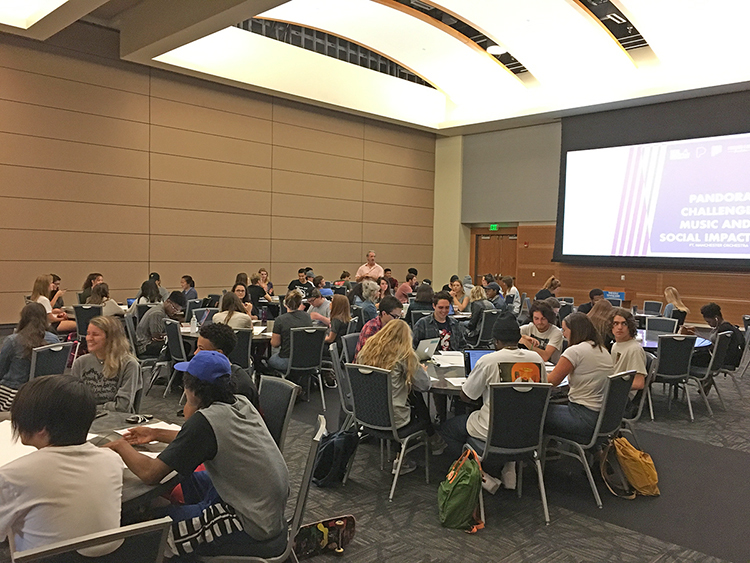 Over 2 weeks, 160 MTSU students utilized music, data, technology and marketing to help the band Manchester Orchestra and the nonprofit 1 Million 4 Anna work together. This challenge was part of the Real Industry Pandora Challenge program, engaging the next-generation of leaders in music business and marketing to achieve social impact. Challenge participants had access to Pandora’s Artist Marketing Platform (AMP), Next Big Sound and the 76 million monthly active listeners tuning into Pandora. 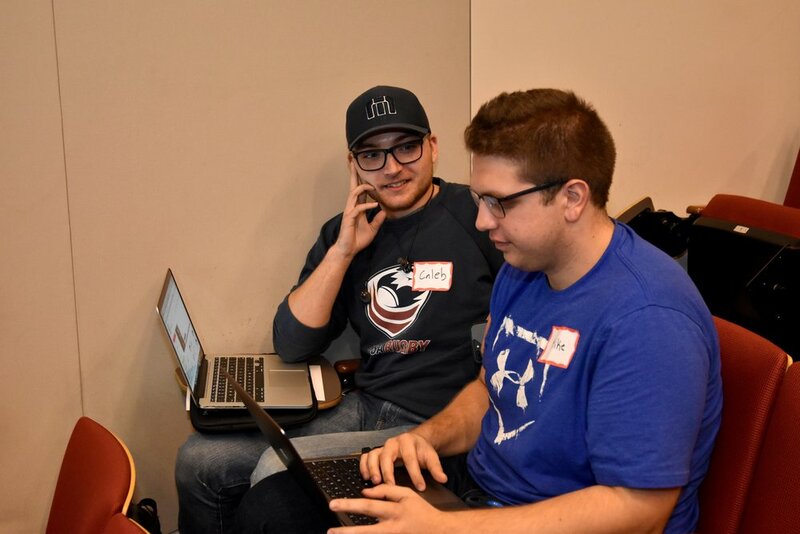 They devised ways to leverage AMP and data from Next Big Sound to engage Pandora’s listeners and bring awareness to the fight against Ewing sarcoma in young people with the 1 Million 4 Anna Foundation, having real-world impact and influence. In 2009, 16-year-old Anna Basso was diagnosed with Ewing sarcoma, a bone and soft tissue cancer that primarily affects children and young adults. Her family created 1 Million 4 Anna in an attempt to heal her body and spirit. Family, friends and strangers alike pledged to pray for Anna every day at 12:12 p.m., resulting in more than 1 million prayers said in her name. Although Anna’s fight ended after 18 months, the foundation’s work carries on, as does Anna’s legacy. Members of Manchester Orchestra were excited to have MTSU students working on social impact through music marketing. 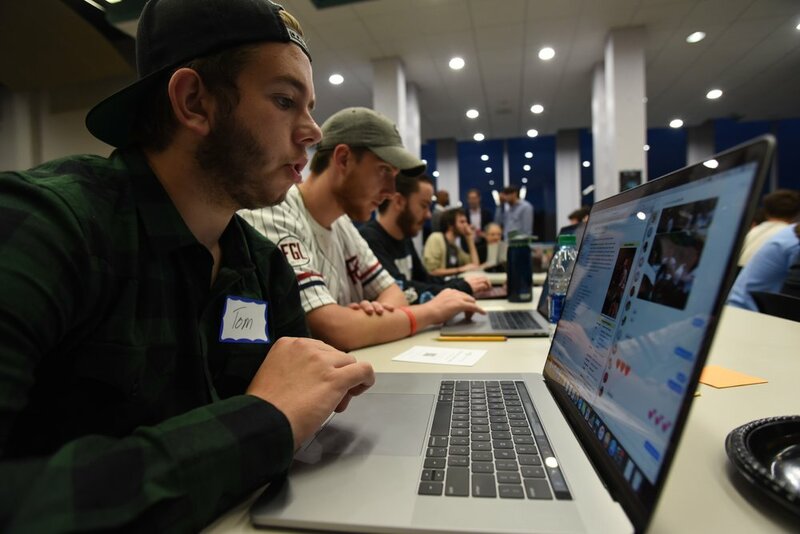 MTSU Recording Industry students work Monday, Oct. 9 2017, in the Student Union Ballroom on a social media marketing campaign on behalf of the music group Manchester Orchestra as part of the Pandora Challenge. The campaign will help the 1 Million 4 Anna Foundation, which is dedicated to fighting Ewing sarcoma and supported by the music group. 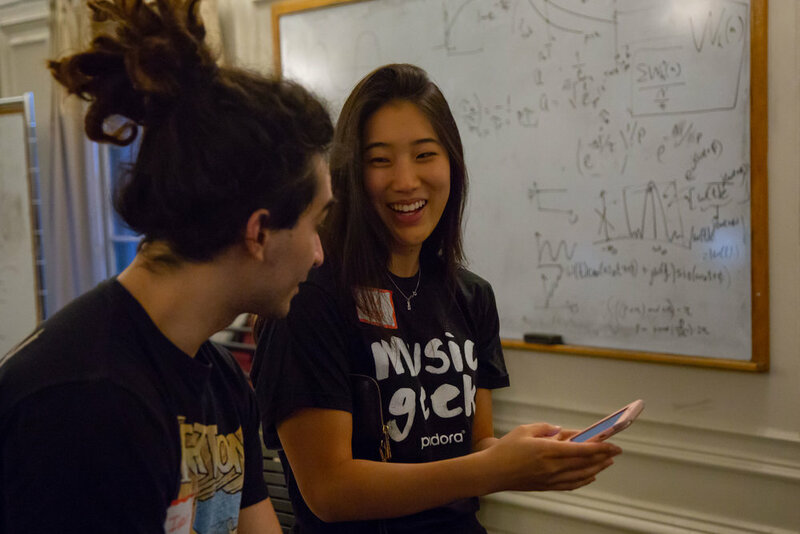 In 2016, Pandora partnered with Real Industry to create The Pandora Challenge, a week-long design challenge open to all University of Michigan students interested in the intersection of music, business and technology. 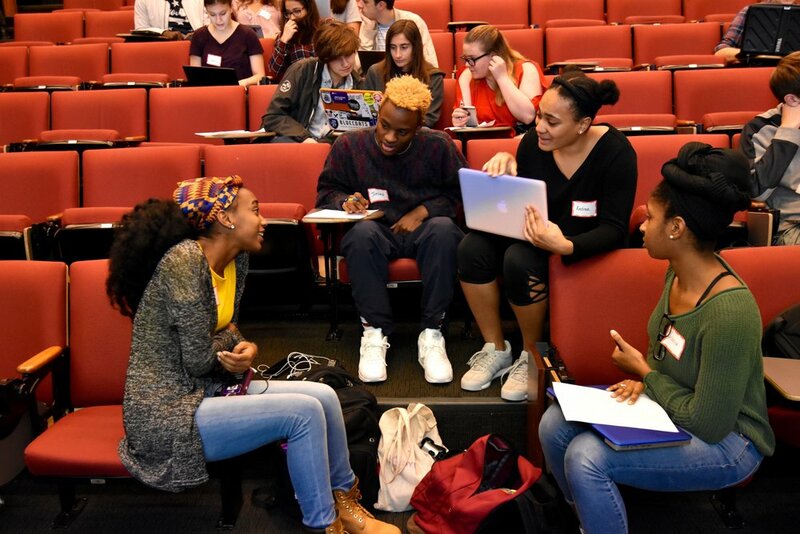 This year, Pandora is stepping up their involvement and reach with six additional design challenges including schools such as Stanford University, New York University, and the University of Southern California. Real Industry has hosted more than a dozen such events with partners such as Autodesk, Bose, Turtle Beach, DTS and LANDR since their founding in 2014 and has doubled its event roadmap for 2017. What’s driving the growth, and why do companies partner with Real Industry? I sat down with Pandora’s former president and CFO, Mike Herring, to learn about the value of design challenges and involvement with top-tier universities. DH: Take me back to the beginning of the partnership. What were your goals and what were you hoping to achieve with the Real Industry partnership? MH: I originally met Jay LeBoeuf [Executive Director, Real Industry] while guest speaking at his class at Stanford and have enjoyed learning about Real Industry. I think it supports a few of Pandora’s goals and the goal of empowering the next generation of music marketers. One, it is good for companies to be on campus and work with students who haven’t been polluted with the way the world works already. 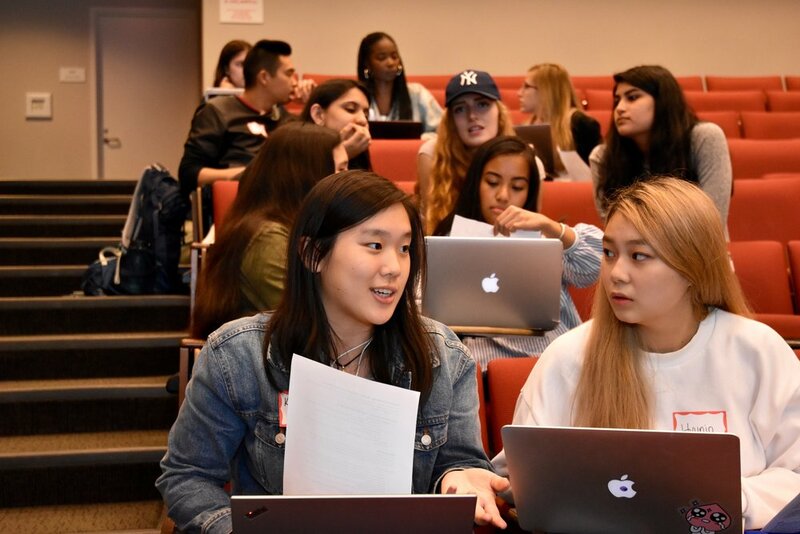 In this year’s event at Stanford, two women who work for Pandora, Heather Ellis (Artist Relations) and Anna Wilson (Artist Marketing) collaborated with a bunch of students who are intellectually curious to answer a lot of questions, and give feedback. These are the students who are going to be running the businesses of tomorrow, which gives us the opportunity to recruit the best and brightest as either interns or even partners as they go out and form their own companies. Two, it’s great exposure for Pandora and allows students a chance to learn and understand what Pandora is about beneath the brand, and to have a positive association with the company. Employees come back from these events saying, ‘That was awesome; I can’t wait to do the next one.” Everyone just gets energized from those experiences. DH: Why are college students helpful to a company with Pandora’s resources? MH: When I started my career in the early 90’s, I was 22 or 23 and the web was getting commercialized and broadly available, and we knew as much about the web as people who were thirty years into their careers. This allowed us to create new types of businesses that others couldn’t even imagine. I didn’t realize it at the time, but the opportunity to see around the corner was only available to people who weren't looking at things through a cloud of experience and who were more naturally early adopters of technology. Today, within the walls of most companies, we have our own biases, and there is an additional set of biases in the tech world. But college students haven't been introduced to those biases yet; they see things differently and ask super-interesting questions, and the ideas and feedback we get from them are amazing. They give us new perspectives that we wouldn’t necessarily come across otherwise. DH: Great to hear, do you have an example? What can you share? MH: I taught a class at Columbia several summers ago with a hedge fund expert. We hosted an interesting talk, with a Q&A session, about the economics of licensing within the music industry. 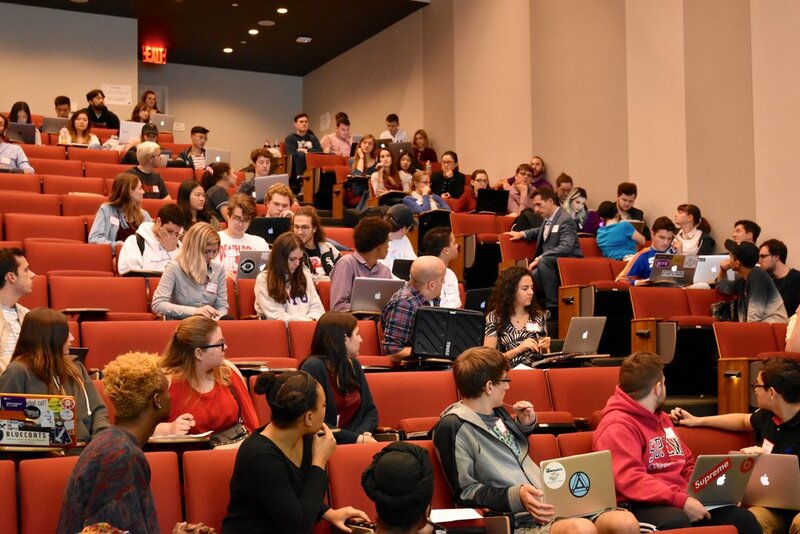 Because of the students' fresh perspective, they didn’t see streaming as replacing one service with another, but rather as a way of layering a new business model on top of an existing model, which was shrinking anyway. This conversation helped clarify and reinforce my thinking that by transitioning to a economic model that addresses shifts in consumer demand proactively you retain customers and also expand your market. While this is obvious to me now, and something I talk about constantly, I hadn’t appreciated the magnitude and opportunities of how current media consumption is being done until my talk with those 40 Columbia MBA students. At the time, I was negotiating with the publishing industry, so this talk gave me ideas for conversations with the publishing industry that I otherwise would not have thought about. When I was at Omniture (Chief Financial Officer, 2004-2009), we did similar things to Real Industry’s Pandora Challenge. We started with Northwestern University and by the time we sold Omniture to Adobe, we were working with 14 different universities. We would provide real client data to marketing students to come up with marketing optimization ideas. Not only did we hire the winners of the challenges every year, we also offered internships to the best participants. Some of the optimizations and recommendations would make it into our best practices consulting group. We also got ideas for product development. Adobe continued these university programs post the acquisition of Omniture. For the Pandora and Real Industry partnership, the goals are to see similar fresh perspectives and ideas about how to work with the music industry, how to work with artists, and how to promote. Pandora has multiple constituents - advertisers, ad-supported listeners, artists, and subscribers. And so you have to look at everything from how people use the product, to how artists can promote their careers, to how to market live events through digital technology. The way to do that is to understand how these audiences are consuming media in those environments and how to reach them most effectively. There is no better way to do that than to talk to customers themselves: Students at the cutting edge who are smart, engaged and passionate about music and business. DH: What do Real Industry and their founder Jay LeBoeuf do that works for you and for Pandora? MH: Jay comes with a trademark that we can work with right off the bat. He understands the university systems and he’s got connections in entrepreneur programs, engineering programs, and audio/music programs, in all the target schools. He speaks their language and helps to frame the programs that work both for us and for the schools, which is really important. And, I like Jay as a person, he’s great to work with and you know that matters. His experience working in both industry and within universities gives him the perfect Venn diagram overlap that makes it successful. DH: I know Real Industry strives for a win, win, win. 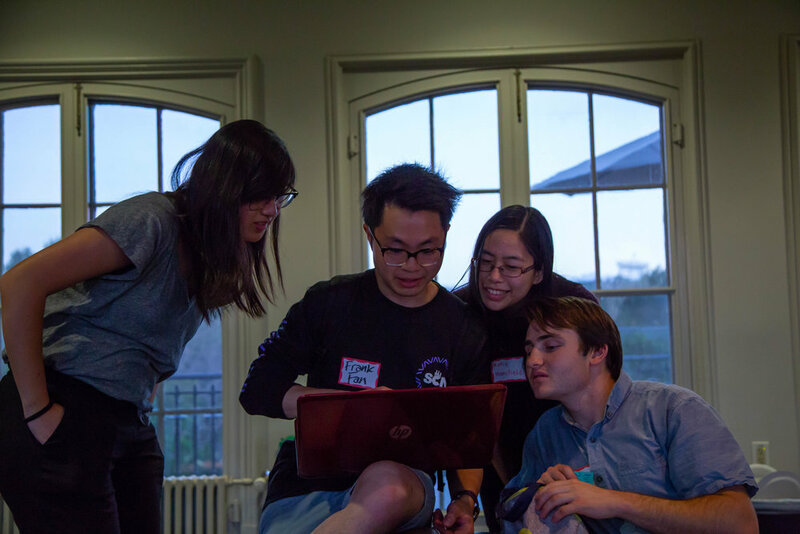 Events and initiatives have to be right for the company, the university, and the students. Do you see it this way? MH: Yes, Real Industry understands a sponsor’s objectives and spends time with them to learn what we are trying to achieve and provide a framework. They provide that bridge of aligning the objectives for students as well as the sponsoring brand. Sounds easy as a sound bite, but that’s a very hard thing to do. 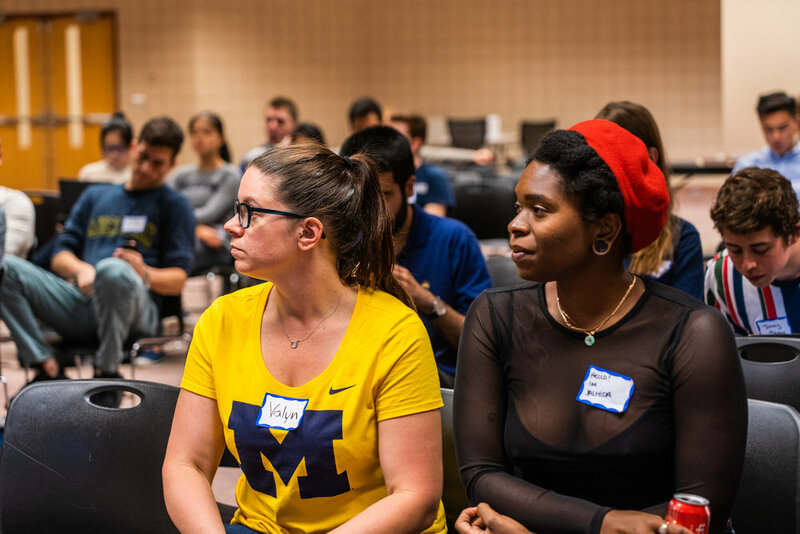 In working with schools, you can’t just walk in and show up with the Pandora program for the Michigan entrepreneurs program or you won’t be invited back. Jay teaches a well organized and popular entrepreneurship program at Michigan and has the connections to make it happen. DH: Is hiring on your mind as well with your current program with Real Industry? MH: A company always wants to hire great people and through these events, we met great people. 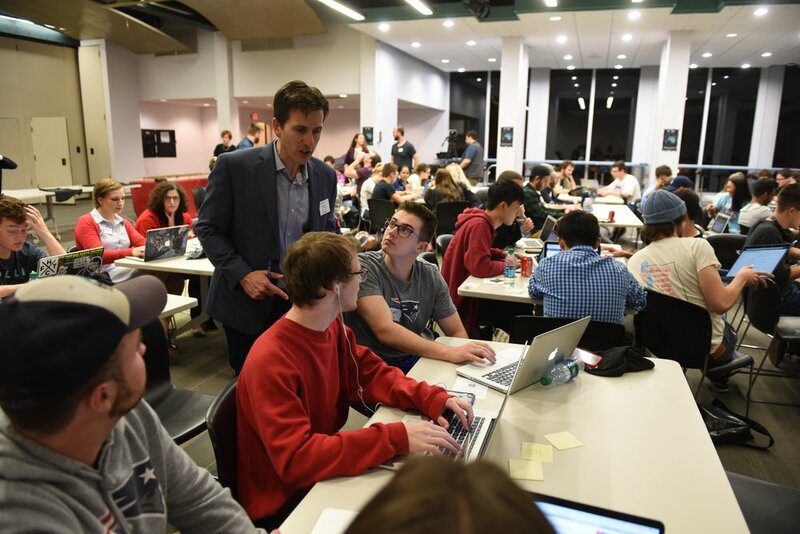 These days, students want to start their own companies. And that’s okay too. They might found businesses that are acquired or partner with larger companies. Pandora started having the right conversations with two such founders. get people out of the fall programs to apply for internships for the following summer. A company like Pandora wants people who are interested in music and applying data in marketing programs. You want to get people who are smart, passionate and interested in what the company is doing iso they can hit the ground running. Pandora has a fantastic internship program, so that’s also a great opportunity for the students. DH: Any other thoughts about Pandora’s partnership with Real Industry? MH: I love this program. We had fantastic experiences with similar programs at Omniture and I personally get a lot of it. I love to hear things firsthand and not just see the presentations at the end, but hear the questions. Like my experience with Columbia students, it helped me form my worldview from perspectives that don’t have my biases, and it’s incredibly important for me to have that to stay current. I sound like such an old man when I say that. By sponsoring design challenges and similar events, companies get to frame the discussion around what they are interested in learning. That’s why I attend and speak at these events. Hopefully, students are getting the benefit of seeing how Pandora and other technology companies work, too. After talking to Mike, Heather and Anna, we learned that what Pandora and Real Industry is doing is not a brand-new concept, but rather an evolution on a tried and true method for seeding and harvesting the best ideas and people needed to fuel growth and innovation. It’s no secret that most tech companies rely on the brightest and most open minds to innovate and reinvigorate old ideas. But how and when you access those students can be a tricky process and require Real Industry’s connections, awareness of business objectives and experience managing successful events like those at Pandora. 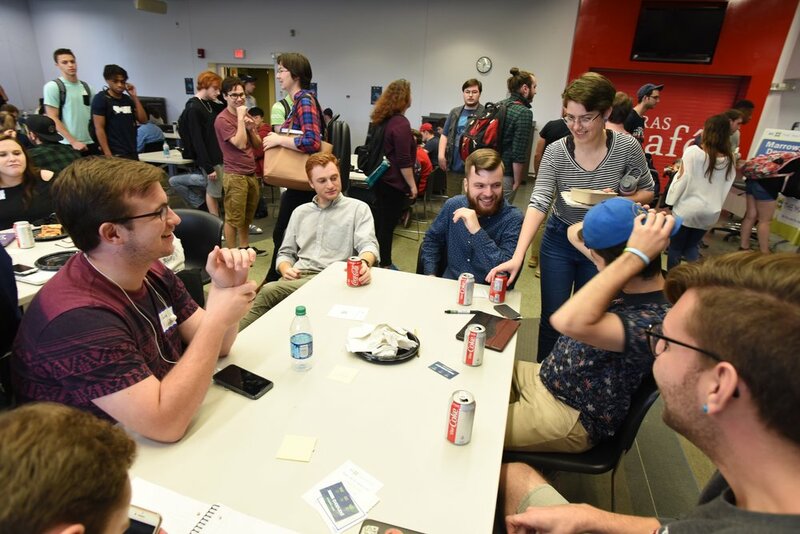 If your team or company is looking for new ways to engage with students, spread brand awareness on college campuses, and broaden your talent pool, get in touch with Real Industry for a conversation about creating your perfect design challenge.